Some of us Catholics have the privilege to attend retreats, periods of quieter and more intense prayer. At these times, we feel a stronger sense of God. These times also can evoke a very strong sense on our part of feeling one with God. Our hearts well up. Our minds seem overwhelmed. We can’t find the words to express the depth that we have felt. On these occasions, retreat leaders often offer cautions. They will point out that these feelings of great closeness are not easily sustained, and that, once we return to our everyday lives, it may be hard to reproduce these feelings once again. In fact, sometimes after peak spiritual experiences, we may even feel a great absence, almost like God has receded from us. Spiritual leaders sometimes refer to these experiences as “highs” that are followed by “lows.” If we think about it, sometimes this our experience with others—a period of intense infatuation followed by a disheartening feeling of distance. Because of the dangers of trying to ground our life on our feelings, spiritual leaders will encourage the adoption of basic practices that, over the highs and lows of our feelings, will sustain our commitments and our relationship with God. In other words, graced as we might feel with emotional high points, we need to ground our lives as Catholics and disciples on the basic practices that will sustain us over the long run. These are practices to which we can return on a regular basis. In this way, they create a framework for our lives which can put into perspective a variety of moods and feelings as these arise in the various moments of our lives. Just as a honeymoon couple has to create the practices of daily, married life, so disciples need to form the practices that will ground their relationship with God. The basis of this framework is prayer whereby we open ourselves to the Spirit’s presence in our lives, letting the Spirit speak to, and lead, us. In this spiritual movement, we let God speak to us and we, in turn, speak to God. These conversations can take all kinds of shapes depending on what is happening in our lives. For the most part, they will be simple affirmations of our presence before God, and God’s presence to us. But at periods of crisis, depression, fear, or boredom, our prayer might take on intense tones and dark shades. Especially during these periods, we need to be faithful to the basic practices we have established in our spiritual life. To do this, disciples set aside particular times in a day to pray. They may use a variety of prayer forms, from memorized prayers to quiet sitting, but the regularity of the practices is essential. Perhaps we can do distinct moments of a day; perhaps our schedules permit only doing this after children are in bed and the house quiets down. Very soon, however, disciples will discover that this framework of prayer requires feeding, and the Holy Scriptures will be a crucial ingredient in being fed. The reading and contemplation of the Scriptures permit our minds and hearts to grow in a range of thoughts and insights that support the commitment that we have made as believers. How we engage the Scriptures will depend on many factors that vary too much from one individual to another; but, whatever the variation, the essential goal is to use the Scriptures to expand our relationship with God in prayer. For many Catholics, just following the readings that the Church has organized for the Eucharist each day gives a broad expanse of God’s dealings with humankind, and humankind’s response to God. We will also discover that daily prayer naturally leads to common sharing in prayer, particularly the celebration of the Eucharist every Sunday, if not more often. How the sacraments enrich our prayer life can be hard to define. By definition, as sacred symbols that touch the heart of Christ’s relationship with us, these sacraments point to realities that cannot be totally verbalized. We have all had moments when we’ve been unable to say something; the event seems to call for words that we feel cannot be expressed. So we resort to signs that say things—holding the hand of someone, or touching a shoulder, or giving a reassuring smile—that words cannot quite express. Sacraments share in this power of sign, particularly the Sacrament of Reconciliation. Even beyond the words we say and hear, we have a sense of God’s healing mercy disclosed to us in ways that leave us speechless—but reassured. Our prayer life will often lead us to want to pray with others. Ideally, this will happen regularly in our family life which, hopefully, includes any children in the household. This shared-prayer also be part of a Scripture sharing group, or some movement like the Cursillo, or part of a small-groups sharing process that we have become involved in. We find that praying with others reinforces and reassures our own experiences in prayer. We find that the moods and questions that arise from their relationship with God bring energy and vision to our own relationship. These prayer moments can be structured in a variety of ways. Some might lead to more formal prayer like reciting the Rosary or adoring the Blessed Sacrament. Disciples leave themselves open to the growth, and surprises, that come from praying with others. One surprising practice that easily emerges from praying and sharing with others is the growth of our own faith sharing. Most people feel intimidated with expressing publicly their personal thinking or feelings. This shows itself most often in public speaking; in fact, some people never get over their fear of speaking before others. Catholics certainly have a huge dose of this fear. But our capacity to share can grow from our interchange with others. As we share with others, we become more comfortable with our own experiences and, importantly, by putting these experiences into words. The setting of the confidentiality of the small group permits us to expand our capacity to prayer, share, and speak our faith. This can seem like a stunning growth, but it actually springs from what God has been doing in our souls all alone. We simply find the ability to put this into words when we are engaging with others. This growth in faith sharing can also lead to a crucial skill for missionary disciples, the ability to share faith with others. Perhaps the most intimidating of all activities for Catholics and others, nevertheless the capacity to share faith with others, at appropriate times and with the right words, can become a blessing for the disciple, and especially for those with whom we share. This mostly happens one-to-one, when another gives us “permission” to open up on a certain level, and we find ourselves in dialogue with the heart of another person. It’s not a time to preach, to chide, to shame; rather, it’s a time for the openness we have found with God to be communicated to the openness of another person. These qualities which form the basis of being a missionary disciple give our parishes a strong message about the kinds of resources parishes should be providing for parishioners in order to reinforce their role in living and sharing the Good News of Jesus. We need to be asking our parishes to provide resources for prayer. While many parishes foster Adoration of the Blessed Sacrament, parishioners need resources wider than this. Parishes can be providing these resources in the Sunday bulletin and on their websites. 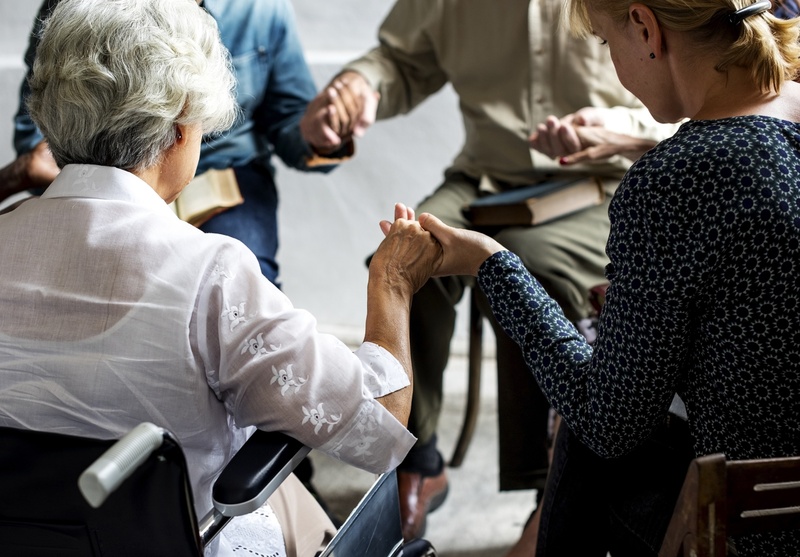 The can include material that families can share together, thoughts for meditation and contemplation, and focus on certain petitions that are central to Catholic and parish life. Likewise, parishes have to attend to the celebration of the Eucharist and other sacraments. 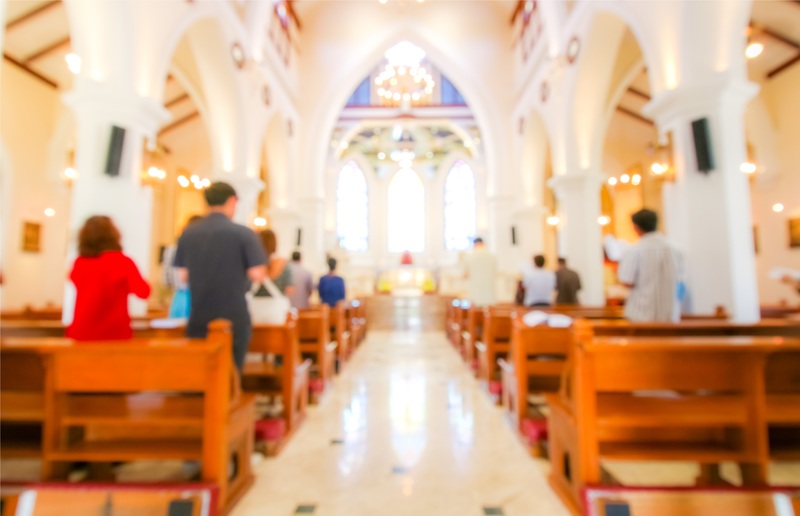 Volumes have been written about this in the past sixty years, and, unfortunately, ongoing conversation about the Liturgy can be a focal point for fighting about the tastes of parishioners or parish leaders. But parishes that invest in the Liturgy—at least in the famous triple formula of good preaching, good music, and good community—harvest abundantly in terms of participation. When this happens, not only do more Catholics attend Mass regularly; they do so with a greater spiritual commitment and consciousness. Obviously, parishes need to provide resources for scriptural growth. Often someone on the parish staff, who has taken some Scripture classes, will offer something once or twice a week. Participants might vary from ten to thirty people, depending on the size of the parish and the time the study is offered. Yet, parishes need to do more than this to bring Catholics beyond their ingrained (and irrational) fear of the Bible. Helping parishioners share on the basis of their scriptural reflection is a minimum starting place. Parish leaders might also investigate some online courses or invest in programs that help parishioners study the Bible such as the Little Rock Bible study program. Just offering something on the readings given for each Sunday might provide a lot of material to which Catholics are not usually exposed. It’s almost obvious to say that the more parishioners talk about faith and pray, the more they will be inclined to share faith with others. I can only share a faith that I am comfortable with, that I articulate freely, and that vitally feeds my spiritual life and needs. Every parish can help form disciples. The resources of prayer, sharing, Scripture and faith articulation, which every parish can support, will foster a greater capacity of today’s Catholics to articulate and share the faith.